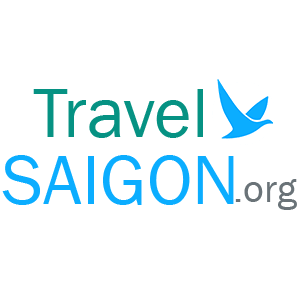 Located in the downtown of Ho Chi Minh city (also known Saigon city) and being a part historical complex with Reunification Palace and Saigon Central Post Office nearby, attracts thousands of tourist and visitors daily, this makes Notre Dame Cathedral Saigon become a convenient inclusion for any walking tour around Ho Chi Minh City. 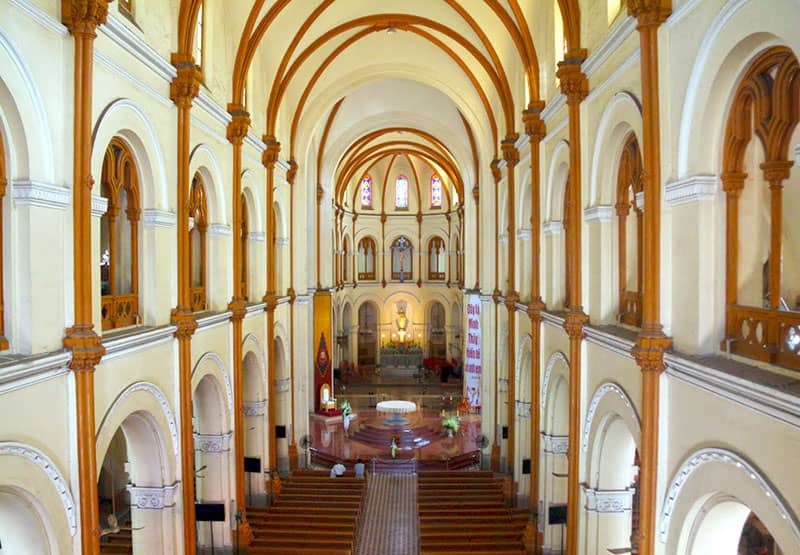 However, surprisingly, this amazing religious architecture still keeps within it the solemn yet tranquil atmosphere. 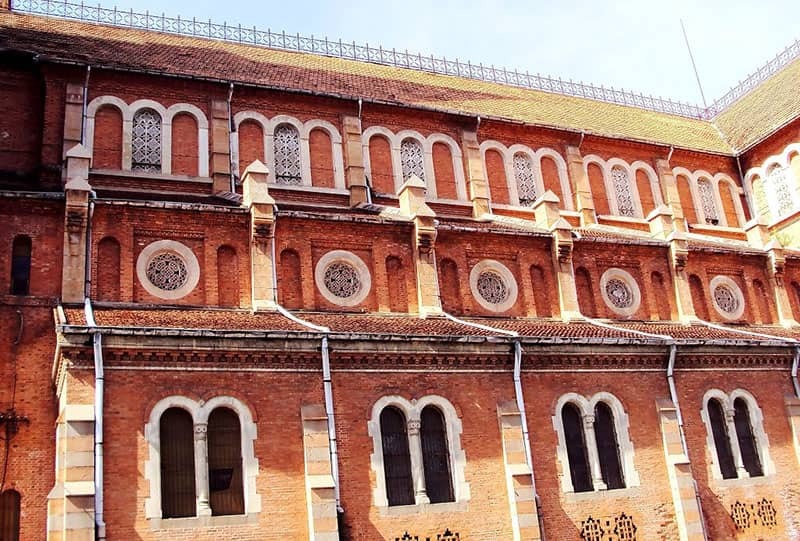 Notre Dame Cathedral Saigon is one of the most unique architectures in Ho Chi Minh city, looking from the outside, you can see the bright red color of the refined brick wall, which has not been covered with moss for hundred years. These bricks were made in Guichard Carvin, Marseille St André France and were directly imported from France. There are 56 colored glass plates on the wall to portray characters and events in the Holy Bible. These glass plates reflect the light and create a magnificent beauty. There are 31 air holes on the wall in flower shape, looks like a carpet of flowers. There are 25 windows assembled by multi-color glasses. 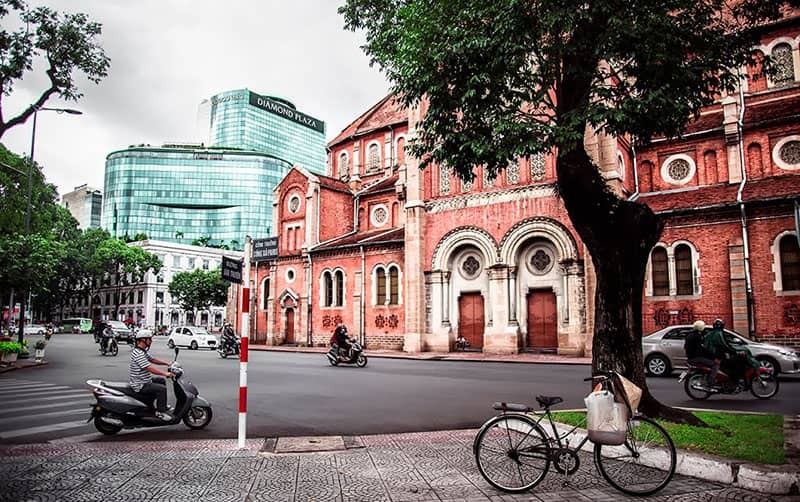 Crossing the street and pass by the rusty iron gate of Notre Dame cathedral Saigon, you will be in the main chapel, with the 21-meter high dome and capacity of 1,200 people. Along with the main chapel, there 2 smaller side-chapel with antique statues and stone-altar. 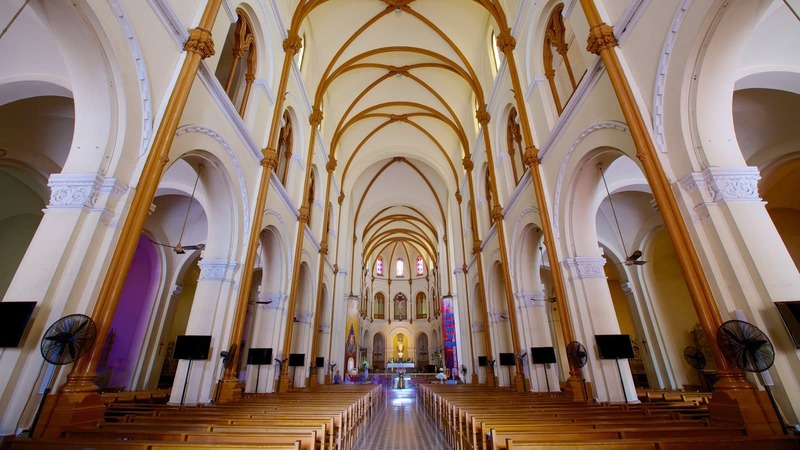 Back to the main chapel, 56 colored-glass windows create a magical light effect and the main marble altar that carved with Christian stories and characters, all together, they create a place where the echo of your soul can be heard and the anxiety is washed away. Leaving a refreshing mind to anyone has ever come and spent time here. On regular holidays and Monday to Saturday, Mass at Notre Dame Cathedral usually takes place: 5:30am and 5:00pm. On Sundays, the Masses hour: 05.30 – 06.30 – 07.30 – 09.30 – 16.00 – 17.15 – 18.30. 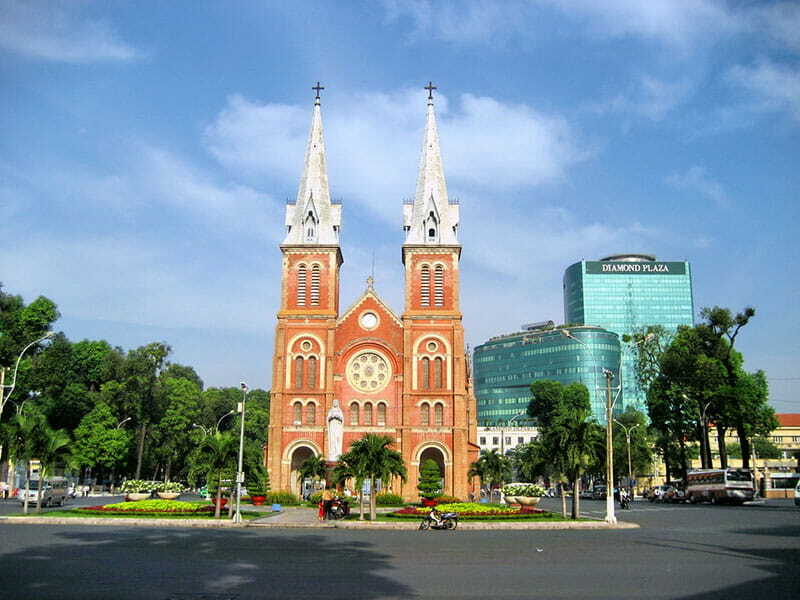 For visitor: The Saigon Notre Dame Basilica opens for visitor on the Mass times and everyday from 8.00 till 18.00.